The last time a Hollywood nightclub did a ski town outpost was Hyde and its Mammoth Mountain debut. 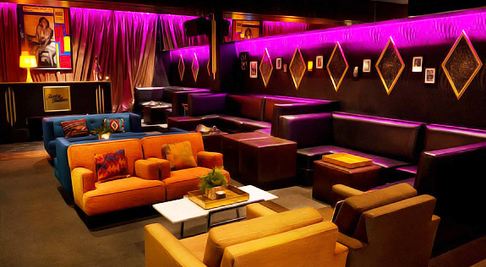 This time its David Arquette and H.Wood's Bootsy Bellows that takes its lounge-style cabaret club to a familiar Aspen basement. 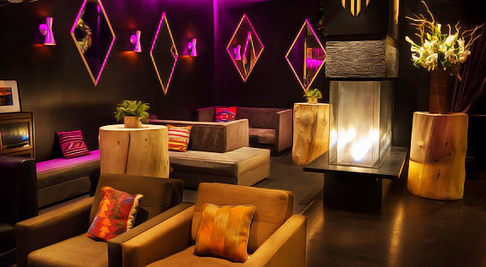 Like many of Aspen's top nightspots, access is down a small staircase and inside a stylish lounge space with black-lacquer walls with geometric diamond cutouts similar to the original. Cubist lounge décor befits a more rugged mountain environment with shades of mustard, crimson and slate that lends an earthy Colorado feel. Music is impeccable especially in a town more familiar with rock anthems than retro rock and indie house interspersed with the occasional stage show and burlesque act. Ski towns peak early, arrive no later than 11pm for the best crowds during busier ski weekends.